QUEENS — Every year New York City parents send out applications for the city's wildly competitive public pre-K programs, trying to find a place for their 4-year-olds. And every year, a microcosm of that search plays out in Jackson Heights and East Elmhurst, where in 2012, many schools received more than three times as many applications as they have seats. As the area's population continues to grow through both immigration and families looking for a more affordable neighborhood to raise children, the eastern section of District 30 has had to deal with issues of overcrowding. Every elementary school in the two neighborhoods is overutilized, according to the last School Construction Authority analysis. DNAinfo.com New York ranked sought-after public pre-K programs based on their 2012 admission rates. For parents looking to send their children to pre-K, that problem has been magnified, said Community Board 3 District Manager Giovanna Reid. "In this district, we don't have enough seats, and so we're not choosy," Reid said. "[If] there's an opening, they're going to make use of the spot." P.S. 69 and P.S. 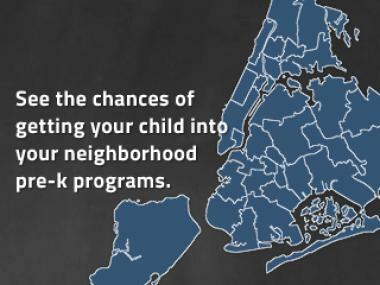 222 in Jackson Heights both had 72 pre-K seats available in 2012, as did P.S. 127 and P.S. 148 in East Elmhurst. P.S. 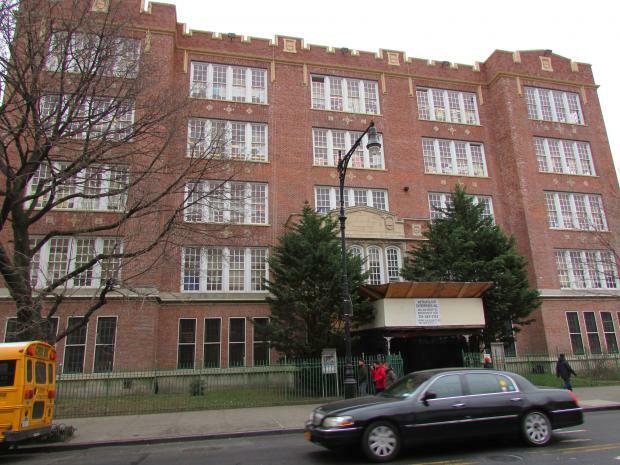 228 in East Elmhurst had 56 seats available, according to Department of Education records. But in each of those schools, applications were more than double the number of seats. At P.S. 127, 193 families applied for those seats; at P.S. 148, 375 families applied. P.S. 222 saw 407 applications, and P.S. 69 saw 457 applications. And at P.S. 228, a whopping 478 applications were sent in for the 56 seats available, second in Queens only to P.S. 20, which had 496 applications, but almost twice as many seats. It's a problem Reid said the community board has had to deal with for years. "They're all competitive, in the sense that there's a huge scramble for seats," Reid said. "We need additional seats. And parents are trying to get into any spot that they can." P.S. 69, Jackson Heights, 77-02 37th Ave. In the 78th percentile of elementary schools in the city, according to its latest progress report, P.S. 69 offers dance, music, theater and visual arts to pre-K students. P.S. 127, Aerospace Science Magnet, 98-01 25th Ave.
With 158 applications, the smallest number in the area, P.S. 127 is poised to become even roomier thanks to a Department of Education plan to alleviate crowding that would split the school's zone at Astoria Boulevard. And a new $3.4-million community park opening soon should promise more opportunities for kids to have fun. P.S. 148, 89-02 32nd Ave.
As a school that concentrates on technological literacy, P.S. 148's pre-K classes study at multi-colored workstations with "high-powered computers," according to Insideschools, and teachers receive training in how to teach technology effectively. P.S. 222, Firefighter Christopher A. Santora, 86-15 37th Ave.
P.S. 222 is one of a number of schools in the neighborhood that offers a dual-language program, where English and Spanish speakers spend half the day learning in their native language and half in the second language. The program begins in pre-K, according to Insideschools. P.S. 228, Early Childhood Magnet School For the Arts, 32-63 93rd St. Located just above Northern Boulevard in East Elmhurst, P.S. 228 has been the most difficult pre-K program in the neighborhood to get into thanks to the high number of applications and small number of seats. Once in, students at this pre-K-through-second-grade school benefit from visual arts, music, drama and dance programs, including a multicultural dance festival, according to the school's comprehensive educational plan.